Going into this research I wanted to know more in depth how to explain The Hair Question. This is what I have researched and hope everybody will listen and get an understanding on The Question of Hair. The word hair is mentioned sixty-four times in the bible. Fifteen times in the New Testament, and forty-nine in the Old Testament, according to Hair: An Introduction. 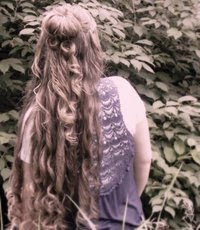 There are six scriptures that refer to hair length in the Bible. So if this is mentioned so many times why is it that we have a problem and question the Word of God? I looked up the Scripture where it talks about the women have long hair and this is some information from Barnes Commentary. Let’s just go through the scripture, as he breaks it down into parts. “1Co 11:15 - “For if a woman have long hair, it is a glory to her: for her hair is given her for a covering. I looked up the word ornament; I wanted to know why he describes it as an ornament. In the Merriam Webster Dictionary it referred to Ornament as different things but one of the definitions really stuck out to me. It say’s “Something that lends grace or beauty, a manner or quality that adorns.” It is a glory unto her, an ornament, and her beauty. 1 Corinthians 11:14 says “Doth not even nature itself teach you, that, if a man have long hair, it is a shame unto him.” Before the 1920’s it was not “of nature” if I can say for men to have long hair, but only for women to have long hair. An example would be, when you go to the restroom you never see a man in a skirt and a woman in pants. No because they identify the woman in a skirt and a man in pants so that you know this is which. People identify you by your appearance, and if I see a woman walking in the mall and she is dressed in pants with her hair cut short like a man’s how am I going to know what it is. As Apostolic, people can identify us by our appearance. We have long hair as ladies and wear modest clothing; men are always clean shaven and dress modest. I was always taught that your hair is a covering, a protection. I looked up the word veil, here is what Merriam Webster Dictionary definition said. “A length of veiling or netting worn over the head or face or attached for protection or ornament to a hat or headdress.” Now some people say well they are just talking about a veil, maybe like a nun would wear or some women over in the Middle East. But I also looked up the word Hair, just to see what Webster might have to say about it. “Hair-The hairy covering of an animal or body part.” So here they even call it a covering. It says in 1 Corinthians 11:4-5 “ Every man praying or prophesying having his head covered, dishonoreth his head. 5 But every woman that prayeth or prophesieth with her head uncovered dishonoreth her head: for this is even all one as if she were shaven. In 1 Samuel 15:22-23 its says “And Samuel said, Hath the LORD in great delight in burnt offerings and sacrifices, as in obeying the voice of the LORD? Behold, to obey is better than sacrifice, and to hearken the fat of the rams.” 23 “For rebellion is as the sin of witchcraft, and stubbornness is as iniquity and idolatry. Because though has rejected the word of the Lord, he hath also rejected thee from being king.” I feel like the key words in verse 22 is “to obey is better than sacrifice.” Obedience is always better than sacrifice. Because when you obey you are sacrificing. I was reading on in the scripture and it talked about in verse 23 how “rebellion is as the sin of witchcraft, and how though has rejected the word of the Lord.” When you go against some rule or law you are being rebellious. The bible says it plan and clear that a man should have short hair and a woman should have long hair. The scripture mentions how though have rejected the word of the Lord, and when you go and cut your hair to me that is rejecting the word of the Lord. When a woman cuts her hair it teaches us in the Bible that you loose your protection. 1 Corinthians 11:10 says “For this cause ought a woman to have power on her head because of the angels.” The angels are her protection. When a women prayers she has power in her hair, because of the angels. In Merriam Webster Dictionary I looked up the word glory, one of the definitions said glory, a halo appearing around the shadow of an object. Now if this does not explain it I don’t know what will. Angels are a halo appearing around the shadow of your hair. There is one story in the bible found in the book of Luke chapter seven verse forty-four. A certain women washed Jesus feet with her tears, and dried them with her hair. This woman had power in her hair. There is one more story that I would like to share with you. This is not about a woman, but about a man in the Bible. This man had long hair; he had power in his hair. One day Delilah was questioning Samson where he got his power from, see Samson was a strong man. So the story goes on to tell us that Delilah kept on asking Samson where he got his power from, finally Samson told her he got it from his hair, Samson had long beautiful hair. When Samson told Delilah this in the middle of the night she cut off all of Samson hair, see the Lord told him not to cut his hair for when he did Samson lost his strength, he lost his power. What do you see the first time a woman leaves the church or backslides, she cuts her hair? When you cut your hair you loose the power, glory and the protection. Middle Eastern women wear a covering over there head as a protection and no body every questions them on why they do what they do. Everybody knows that it is a culture, a tradition. We as apostolic women have long hair and get asked all kinds of questions such as: If you just cut your hair it would be healthy, why don’t you cut your hair, or if you just trim it a little it would look so much better. Well let me just tell you one thing, trimming and cutting are the same thing. In the Book Does God Really Care about Hairstyles it says “For Christians, a woman’s shorn hair is a symbol of rebellion, of a spirit of independence from her husband or father. A woman is to always be under the headship (protection, authority) of a man-either her father or her husband, or, in the case of one who has no living husband or father, her pastor or other spiritual authority. Cutting your hair can be a tool to become a witness. The first thing you might get asked as an apostolic woman is why you do not cut your hair. It talked in the book how many Christians have never been taught the principles of 1 Corinthians 11. By not cutting our hair we are true living examples of 1 Corinthians 11. It says be ye Holy for I am Holy. If we truly love God we will keep his commandments. It says in John 14:15 “If ye truly love me, keep my commandments.” If we truly love God and want to please him we will follow his commandments. I heard a true story one time how a woman’s little boy was severely sick, not sure the case. She continually prayed for him every day. Finally after him not being healed God impressed in her to take her hair down and lay it over her child and pray for him. He was healed. If there is one thing that you have learned from this paper is that let your glory shine forth. God only knows why he created women like he did. It says in Psalms 149:14 “I will praise thee; for I am fearfully and wonderfully made: marvelous are they works; and that my soul knoweth right well.” We are fearfully and wonderfully made. One way we can praise Jesus is through our hair, for it is his glory, his angels protect you and keep watch of you. Never cut your hair for God will always be faithful in answering prayers!